It all started in 1987, as the debut of the Ibanez RG was a milestone in rock guitar history. With its spartan look, supreme playability and versatility due to innovative specs, the RG made a big impact then, and is still evolving today. The Ibanez Genesis Collection brings back vibe of the "good old days" with precise construction by Japanese craftsmanship, proving that this iconic guitar has always led the rock guitar scene. A prominent feature of the original RG is the ultra thin Super Wizard neck - constructed of five solid pieces of Maple & Walnut for absolute rock solid stability to provide extra-smooth playing. With the classic Edge tremolo bridge, the most extreme sonic acrobatics can be fearlessly performed with confidence that the guitar will effortlessly return to perfect tuning. The original Ibanez V7, S1, V8 pickups offer a wide range of sound and attack when combined with the 5-way pickup switch. Additionally, incredible tuning stability is achieved through the use of the Gotoh machine heads. 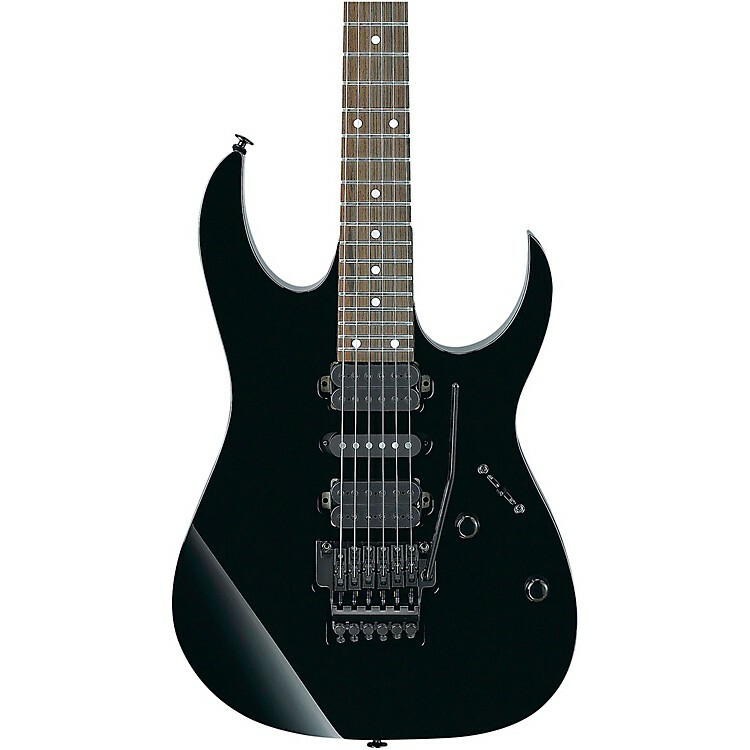 Become the newest link in the chain of influential Ibanez RG players. Order today.